Following on from a decent SummerSlam PPV the previous night, this was a decent RAW showing. This episode came complete with the brand new 'Clean' WWE logo which has been much talked about in recent weeks. I think it is very nice and clear and suits this PG era very much. At the same time I'm sad to see the old Attitude Era one disposed of, but I guess we all have to move with the times. A lot of celebrities haven been taking part in the "Ice Bucket Challenge" all in aid of a good cause. Following on from SummerSlam the previous night, Nikki Bella was invited out to ringside by Stephanie McMahon to explain why she turned on her twin sister, Brie the previous night. Initially I liked the idea of a feud between Steph and Brie - That was until I realised Brie is truly terrible at acting! Meanwhile, Steph as a character is as good as ever. The match between Steph and Brie at SummerSlam was decent enough. But I've really struggled to buy into the whole storyline to be honest. From here we are obviously heading towards a match between the Bella Twins. I'd be keen to see the match - But not the acting during the build up! Dolph Ziggler defended his newly-won Intercontinental belt against former champ The Miz. Albeit by default after The Miz won the match by countout. Since we've now had the title change and rematch, it is definitely time to move on. On paper, the scheduled three-way tag team match looked to be a weird one. Sheamus, RVD & Roman Reigns vs Rybaxel & Randy Orton. Luckily the end product was actually quite good and it was nice to see RVD pick up the spoils instead of Roman Reigns for a change. Let's be honest, a Five Star Frog Splash is more exciting than a Spear any day of the week! The other highlight of the match was Ryback perfroming in front of his hometown, Vegas crowd. He was comfortably the most over out of all six men, without having to do very much! Along with a brand new look WWE logo and RAW graphics - A new WWE World Heavyweight Championship belt was presented to Brock Lesnar. 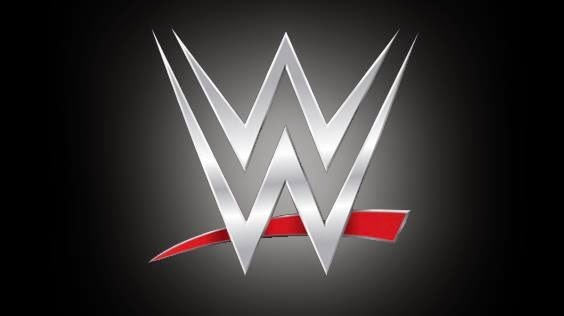 It features the new look WWE logo and does away with the need to carry two championship belts. WWE seem keen to grow and develop the tag team division recently and who can blame them? Tag teams have become a neglected commodity in recent years and for a long time The Usos have been the only real tag team. So it was nice to see recent competition from the Wyatt's, who appear to have slipped in the pecking order having lost both of their recent title challenges. Recently, Mark Henry & Big Show have had a push as a tag team - Which is an interesting (and big!) proposition. On RAW things just got much more interesting as the reigning champs The Usos lost to Goldust & Stardust. I had a feeling that it was going to happen and it puts them right at the front of the queue for a title shot. Seeing as the Rhodes brothers are so over with pretty much every WWE crowd, along with their brilliant, synchronised new look, I think you could well be looking at the next tag team champs! Looks like WWE are moving on from the Rusev/Jack Swagger feud. Meanwhile Rusev looks as if he could be heading into a new feud with Mark Henry after the World's Strongest Man came out to confront him on RAW. Has Rusev finally met his match? The main event of the evening followed on from the epic Lumberjack match at Summerslam between Seth Rollins and Dean Ambrose. This was a rematch, with the stipulation chosen by WWE fans, who were given the chance to vote via the WWE app. The choices were either No Disqualification, Falls Count Anywhere or No Holds Barred - We chose Falls Count Anywhere - But basically all three of the options added up to same damn thing anyway! This match was on a par quality-wise with the Lumberjack match at SummerSlam the previous evening, which is especially encouraging to see on an episode of RAW. There were some brilliant high spots featuring a Powerbomb onto a stack of steel chairs and a Superplex through a table. I mean, seriously? Come on WWE! It's supposed to be CONCRETE!!! If it was the real thing I would imagine Ambrose would probably be dead now - Seriously injured at the very least. Look. We all know that wrestling is, for want of a better word in this instance, "fake". But there really is no need for these gimmicky incidents. It's way too over the top. It's unrealistic. It just makes a mockery of the product and, what was up until that point, a great match. That aside, the good news is that this feud is going to run and run. Brilliant news for the fans and I'm sure they've got plenty of great matches to come. Who knows - Maybe they could be fighting for the WWE World Title soon enough?